You may not have noticed because you’ve got a LOT of exciting stuff going on over there, but I haven’t been around much lately. 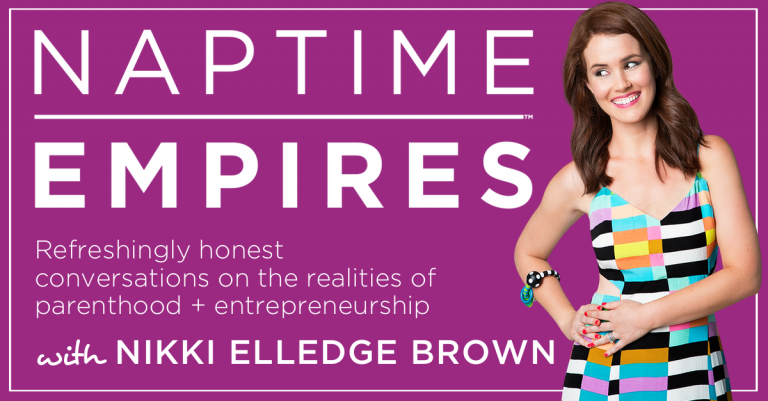 Truth be told: It’s because any and all worky / creative / expressive energy I’ve had for the past month or so has gone into prepping for my #naptimeempires podcast premiere – WHICH, to be honest, has been delightfully low key. WHY am I calling it low key? 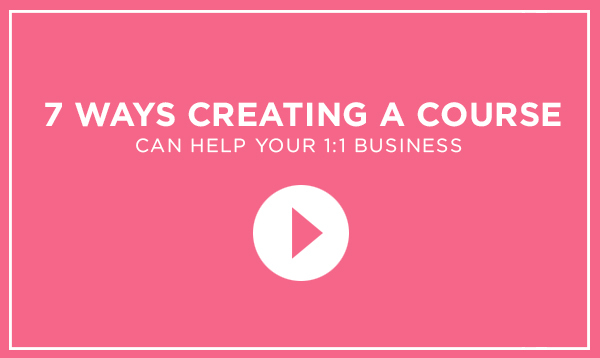 There’s a lot of talk about creating online courses these days. And most of it assumes you don’t want to work 1:1 anymore. That may absolutely be the case (you’ve only got so many hours in the day, after all), BUT what if it’s not the full story? 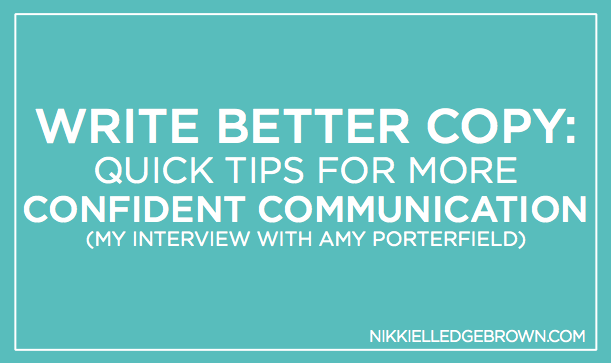 It’s no secret that I’ve got a total biz crush on Amy Porterfield. 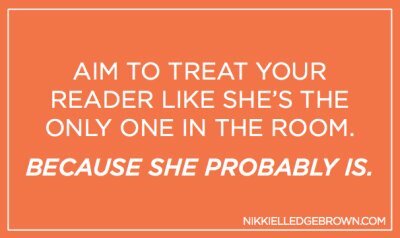 Over the years she’s built an email list of 150k and growing, a devoted following on social media, aaand a hit podcast called Online Marketing Made Easy. When she invited me to be a guest on said podcast earlier this summer, I could barely contain my exclamationpointitis. I’ve done a good number of interviews in my first few years of business, and I don’t say this lightly: This is my favorite one so far. 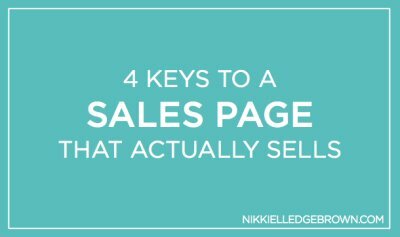 SPOILER ALERT: If you’re allergic to writing sales pages + sharing your offer(s), this one’s for you. Salesy is associated with superficial, aggressive, and cheesy. Not cute. Not effective. 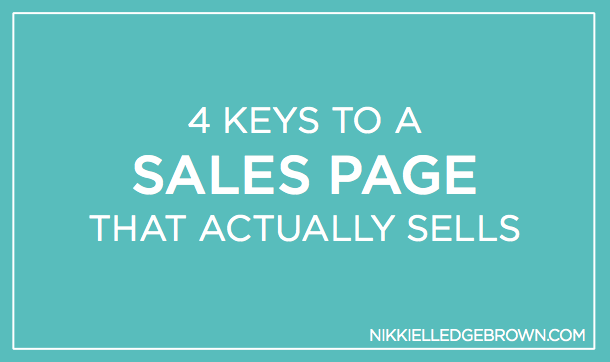 In its simplest form, “salesy” means making a sale. And making a sale is making a DIFFERENCE. That’s not just lip service. Think about it. When you’re able to do what you do best, your clients + customers benefit, the people they love and serve benefit, your employees and contractors benefit, your neighbors benefit via your government (heeey, taxes! ), your family benefits, and of course YOU benefit. As long as you know how to help people see why they genuinely WANT to buy from you, everybody wins. So let’s talk (very specifically) about how to do that. Are you by yourself right now? I mean, as you sit there on your computer (or on your phone) and read this post, is there a crew of people creepily peering over your shoulder? Probably not. (At least I HOPE not.) And the same goes for YOUR readers + listeners. 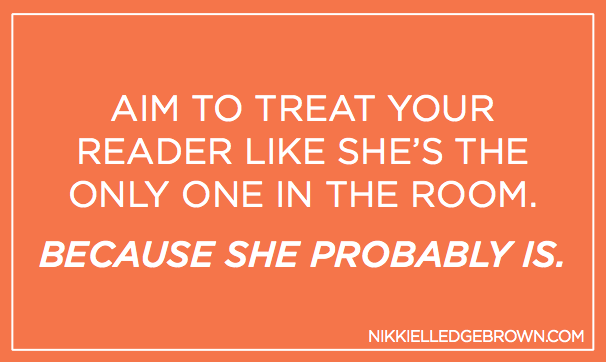 The super-simple tip I’ll share today can be a game-changer in the way you relate to your community. It’s a quick fix (+ new habit) that can lead to better conversations, stronger connections, AND a higher likelihood of working with potential clients + customers. WANT SIMPLE TIPS FOR USING YOUR REAL VOICE ONLINE?